Mahindra and Mahindra have been India’s very own homegrown utility vehicle manufacturer. Launching the Scorpio in 2002, Mahindra acquired a spot among the leading SUV manufacturers in India. The Scorpio has been Mahindra’s highest selling car in its SUV lineup and to further strengthen its position in the market, Mahindra plans to launch a new facelift version of the Scorpio this October. The new facelift Scorpio will come with a newly fabricated exterior and interior design. 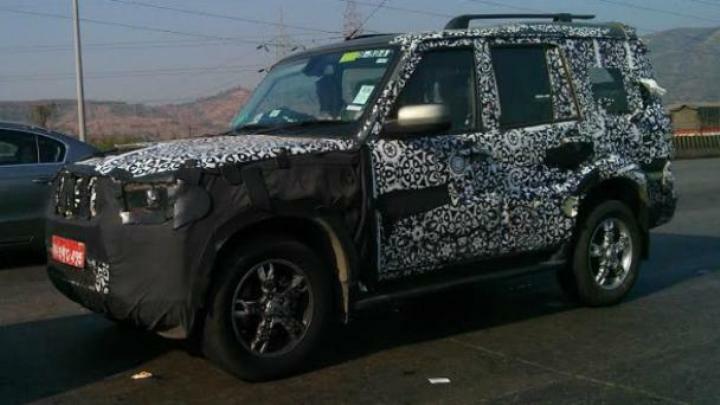 The Scorpio has been spotted testing for a long time now and the little that we have gathered from the spy shots of the Scorpio are: the front facade of the Scorpio facelift is totally re-modeled with a revised front grille, a redesigned front bumper and a whole new headlight cluster with LED DRLs. The rear design of the Scorpio facelift will sport, new D-shaped LED tail lamps and minor changes to the tailgate and rear bumper. The Scorpio may also get newly designed alloy wheels and new body graphics, complimenting the new design of the Scorpio facelift. 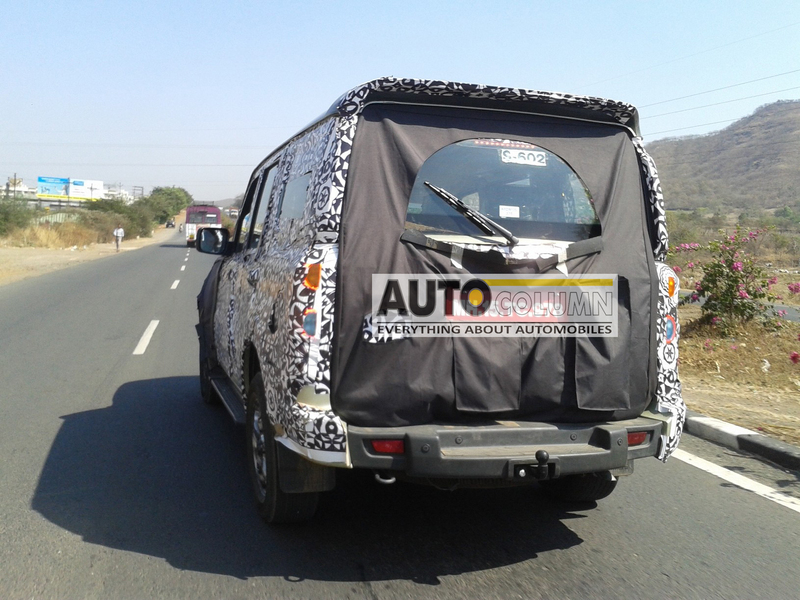 On the inside, the Mahindra Scorpio facelift borrows its design from the XUV500. The interiors sport a new steering wheel, a touchscreen infotainment display, rear air-con vents, a new instrument console with MID screen,automatic climate control and the dual tone black and beige dashboard sum up the interior cosmetic changes to the Scorpio facelift model. Along with the new exterior and interior design upgrades, the Scorpio facelift may get the much awaited suspension upgrade as well. The new suspension will offer better stability at high speeds, better ride quality and lesser body roll. The Scorpio facelift will retain the same engines under the hood: a 2.2 liter mHawk, turbocharged diesel engine, which produces 120 BHP of power and a 2.5 liter, m2DICR engine, which produces 75 BHP of power, in the base variants. Both the engines will be mated to a 5-speed manual transmission and most likely the automatic version, will continue with a 6-speed torque converter. The competition keeps on getting tougher in the SUV segment, with new launches like the Ford EoSport, Renault Duster and Nissan Terrano, Mahindra and Mahindra are sure to step up the competition with the launch of the Scorpio facelift this October. We shall wait and watch whether the Scorpio facelift can out beat its earlier siblings or not ? Yawn! Another automatic variant launched. 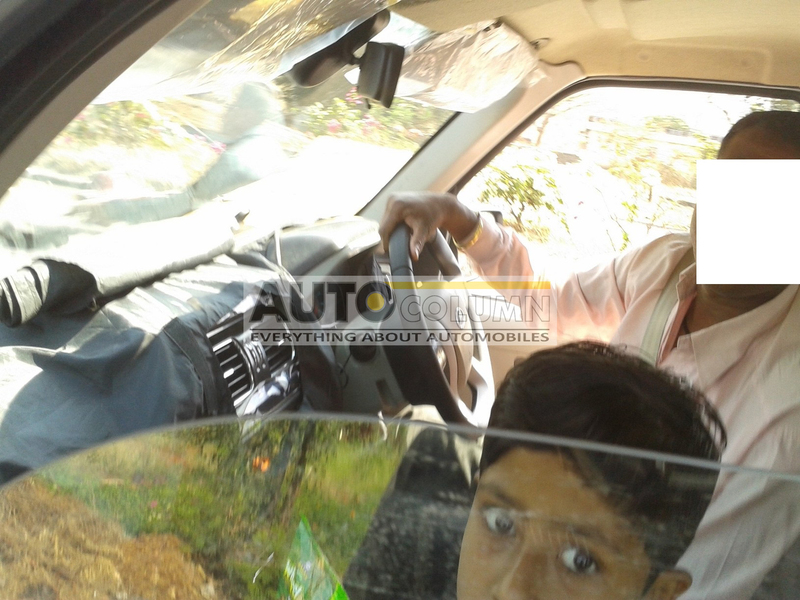 This time its Mahindra Scorpio.